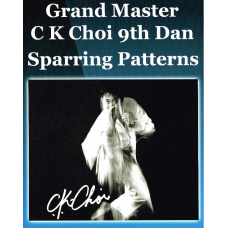 CK Choi Sparring Patterns DVD.s DVD also includes an exclusive interview with Grand Master CK Choi, .. Audio CD is ideal for learning your Korean on the go.form beginners to 1st degree Black belt..
Set Sparing DVD Features some of Tae Kwon Do finest students demonstrating 3 step, 2 step ,1 st..
Student Handbook TAGB Student Handbook / Revision Guide from grades 10th Kup - 1st Kup..
T.A.G.B. Tae Kwon-Do Black Belt Patterns Syllabus Books..
Tae Kwon Do Black Belt DVD all the patterns up to 6th Dan demonstrated by champions ..
Tae Kwon Do By David Oliver (Paperback)Tae Kwon Do is a sport, a martial art, a fun way to kee..
Tae Kwon Do Coloured belt patterns DVD..
Tae kwon-do: Grading Syllabus White Belt to Black Belt [Paperback]..